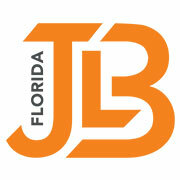 FORT LAUDERDALE, Fla., December 20, 2018	(Newswire.com) - JLB Florida, a leading web design, development, and internet marketing company based out of Fort Lauderdale, FL, joined in a panel discussion, hosted by the Greater Fort Lauderdale Chamber of Commerce and other leading industry experts, in a recent Lunch & Learn panel event. During the event, attendees were able to network, enjoy lunch, and learn key lessons on marketing oneself and building a personal brand. “The Greater Fort Lauderdale Chamber of Commerce’s Lunch and Learn program is a valuable resource that gives business owners and decision makers a chance to build relationships, while also getting the opportunity to gain insights and information on a specific tool that can help their organization thrive,” said Mike Cobelo, Director of Communications at the Greater Fort Lauderdale Chamber of Commerce. The event began with an introduction by Business Coach Juan P. Ortega. ActionCOACH is a global organization that works with businesses to help them increase profitability and exponential growth. Juan discussed the marketing do’s and don’t for personal and professional branding including the key factors for success. The panel consisted of three industry experts from agencies in South Florida who discussed a range of topics including branding, digital marketing efforts for businesses, and networking. The panel spoke on the importance of personal and professional branding, in addition to items such as what is acceptable for business owners to share on their personal social media accounts. The spoke on how to determine the best method of advertising for one’s specific business. They responded to questions on digital marketing regarding search engine optimization, pay-per-click advertising, social media, and so forth. They also discussed the importance of networking and face-to-face meetings. Janet Granger (panel moderator) is a Marketing Strategy Consultant with 20+ years of marketing experience and is the author of "Digital Influence for Baby Boomers: Why You Should Care and Yes, You Can Do This!" Janet hosts a monthly webinar series on Marketing for the Marine Ad Network and serves as Vice Chair of the Greater Fort Lauderdale Chamber of Commerce’s Branding & Marketing Committee. Joshua Miller is the CEO of C&I Studios, an advertising agency headquartered in Fort Lauderdale, FL that solves marketing challenges with innovative concepts, multimedia, and distribution to organizations around the world. Jenna Mollard is the President of JLB Florida, a Fort Lauderdale website design and digital marketing services agency for businesses. JLB focuses on providing customers with beautiful web designs, innovative website development, powerful digital marketing, and business class website support in one central place without multiple vendors or confusion. Kyle Plesa is the CEO of The Social Group™, a digital marketing and advertising agency. The Social Group™ specializes in building brand equity and awareness by creating bespoke digital campaigns that captivate and engage new and existing consumer bases. This event took place at the Greater Fort Lauderdale Chamber of Commerce on December 13, 2018, from 11:30 a.m. to 1:00 p.m.
A full-service marketing services agency providing the only centralized managed marketing services for businesses. They help businesses -- from small to large -- grow and thrive with strong internet presence and success that matters. All critical services under one vendor, with one bill and central support. Recognizable brands include The Florida Panthers, Invicta Watches, SwissGear, The Better Business Bureau, United Way, Meridian Medical Management, Meharry Medical College and many more. JLB is headquartered in Nashville, with another office in Florida (www.jlbflorida.com). JLB is proud to be a veteran-owned business with over 15 years of success with an award-winning team of in-house industry experts that provide unsurpassed results. Our exceptional work does not go unnoticed, either - JLB was named a Google Premier Partner, is also proud to be a part of the Inc 5000 list and holds an A+ rating with the Better Business Bureau. For more information, please visit https://jlbflorida.com or call 954-530-6125. The Greater Fort Lauderdale Chamber of Commerce is the largest business organization in Broward County Florida with 1,200 member businesses employing nearly 500,000 workers throughout South Florida. Its mission is to develop and connect partners for economic growth. Its vision is inspiring prosperity within the business community. ActionCOACH, the world’s largest business coaching firm, was established and founded in Brisbane, Australia by Brad Sugars in 1993 when the concept of business coaching was still in its infancy. Since franchising the company in 1997, ActionCOACH has helped business coaching become more mainstream and has grown the company presence in more than 70 countries. ActionCOACH specializes in coaching small to medium-sized businesses as well as executives, and their teams. ActionCOACH maintains its growth and strategic alliances by continual development of cutting-edge, innovative technology, proven business processes, and systems to add value, satisfaction and additional income streams for its franchisees. C&I Studios is an idea agency that solves marketing challenges with innovative concepts, multimedia, and distribution to organizations around the world. We create ideas with a higher purpose and deliver them to a targeted audience for maximum growth. For more information, please visit https://c-istudios.com or call 954-357-3934. At The Social Group™, we combine personal passion with the latest software tools to maximize ROI via social media marketing and content creation. From the sports and gaming industries to fashion and lifestyle, The Social Group™ has experience in developing quantifiable digital campaigns that truly push the needle. For more information, please visit https://www.socialgroup.com or call 954-315-3832.